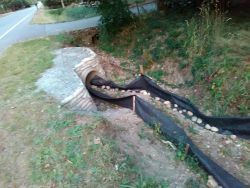 toad culvert - diversion which will help a few toads - we need more of these! 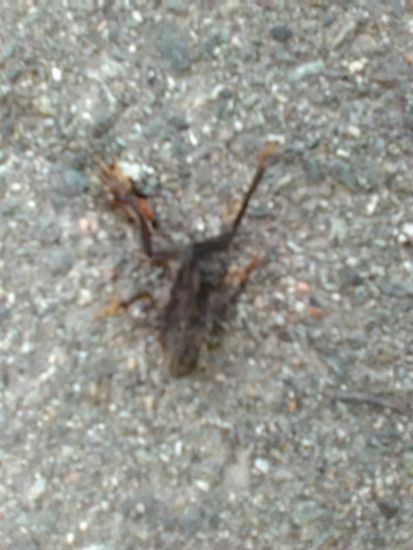 can you spot the toadlet on the gravel? this is why we need road closures! Monday July 30th 2018. The first toad count of the Western Toad toadlets in the Township of Langley on the southern border of Surrey took place on Saturday evening. 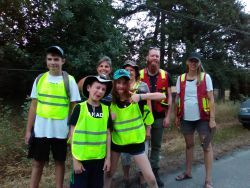 A group of concerned citizens and biologists came out to record toads and vehicles in the area. 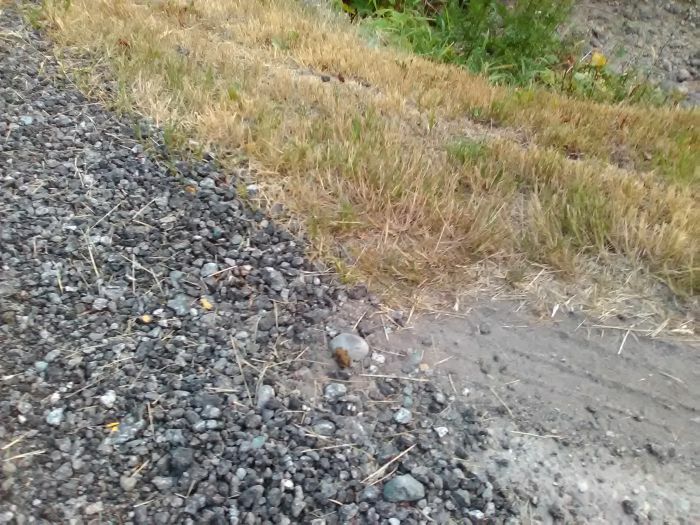 The toadlets migrate from the wetland area where they are born across the road into the terrestrial habitat where they will spend the rest of the year. Unfortunately, many of them come to grief on the road under vehicle wheels. Roads are one of the greatest threats to our wildlife. allow the tiny toads to migrate more safely, as has been done in other municipalities. The data collected during the migration will be used to this end. 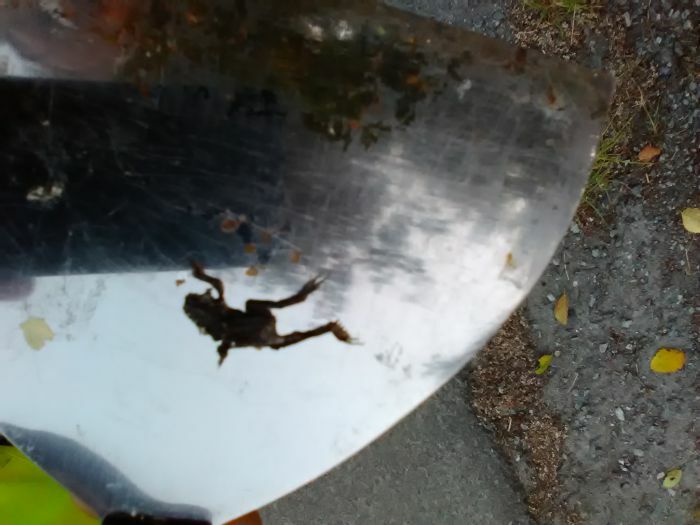 The toadlet migration is happening late this year compared to other years. Is it the hot dry weather? Or global warming? Like salmon and other local species the toads are effected by temperature, roads and other human development, as well as other environmental conditions such as drought. What can we as humans do to help the species survive? What changes can we make in the way we live our lives and the way we plan developments that would reduce our negative impact on this and other species? 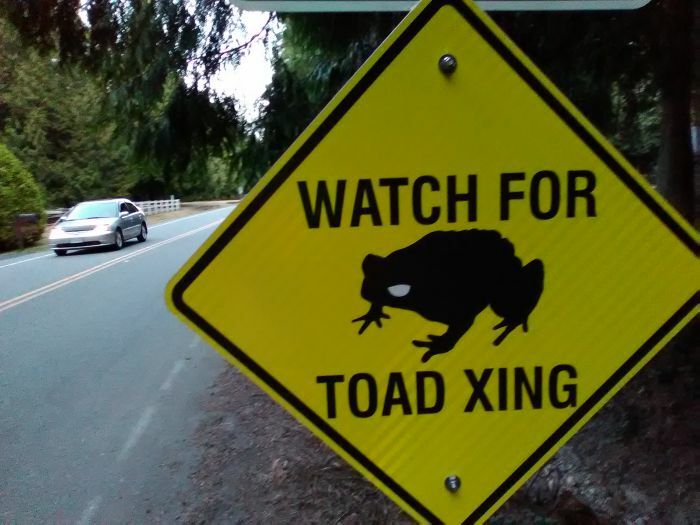 The Township of Langley was unwilling to allow a temporary road closure although some signage was provided to inform drivers of the toad migration. More needs to be done to protect this vulnerable provincially and federally listed species. Langley to voice their support for toad underpasses and temporary road closures at mayorcouncil@tol.ca or send a letter to the editor of the Langley Times at newsroom@langleytimes.com or other media. Share information about the toads widely! 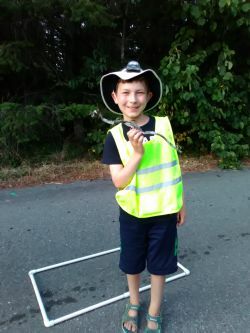 The group surveyed a section of the road between the hatching ponds and the terrestrial habitat for dead and live toads, as well as counting vehicles. The sharp-eyed young toad counters were great at spotting the tiny creatures. In fact, tree frogs and other wildlife were also spotted by the amphibian enthusiasts. It's not glamorous...dead toads were collected and removed from the road. Counts were done every 50 meters in the research area. Unfortunately we found a very high percentage of dead toads on the road, as well as other unfortunate wildlife. A few live toads were seen who made it to the other side. The toad counts will continue every Tuesday, Thursday and Saturday evening until the end of the annual migration. Anyone interested in taking part should contact christy.juteau@arocha.ca who is one of the organizers of the project. 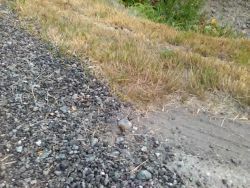 The City of Chilliwack is an excellent example of what can be done to help the migrating toads. Road closures and underpasses and other initiatives are employed to protect this fragile disappearing species. 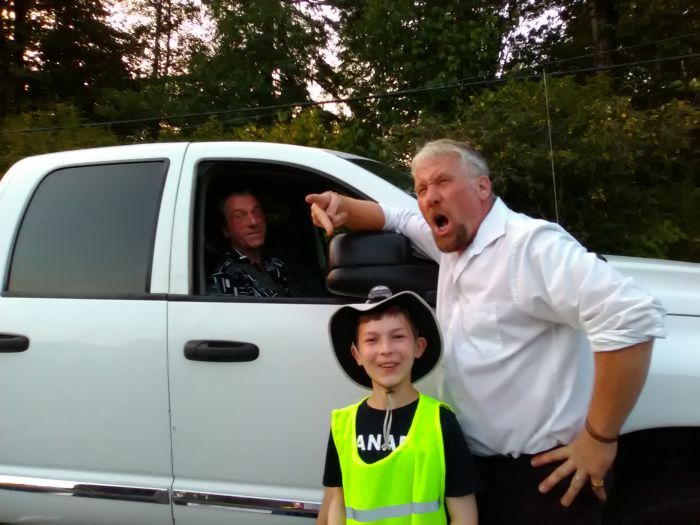 The increase in development in the lower mainland and elsewhere, in particular the draining of wetlands for development, road construction, and other projects which cause habitat fragmentation are having a devastating effect on local wildlife populations. Local populations are becoming extirpated in many areas due to development which does not take into account the best management practices developed by the province and federal government. In the upcoming civic elections, BC residents need to make wildlife an election issue...where do your local candidates stand on protecting our precious wildlife and wild places...are we willing to learn how to coexist with our animal relations? Or will we continue on down the path to extinction? Surrey residents can email their mayor and council as well, since part of the toad migration is in Surrey's jurisdiction and nothing has been done by Surrey to date. 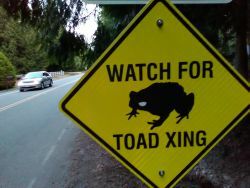 Email mayor@surrey.ca and councillors@surrey.ca as well as the local paper at edit@surreynowleader.com and other media to demand road closures and toad underpasses to save this vulnerable species.